FLEXBAR SMZ 1:6.7 Zoom Ratio Microscope. High Resolution Stereo Image – Zoom Magnification Click Stops. Model No. 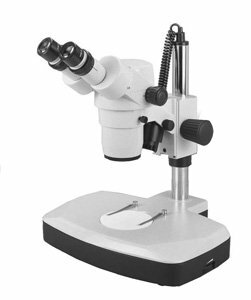 26012, Flexbar SMZ 1:6.7 Ratio Stereo Microscope featuring Greenough Zoom Optical System.